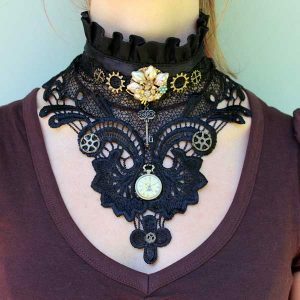 What do you love about steampunk? 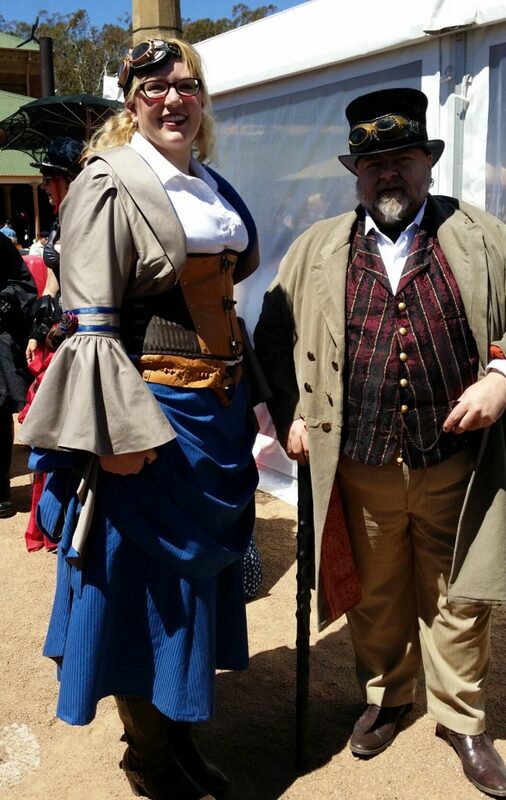 Among other things, steampunk costumes for all ages really work. 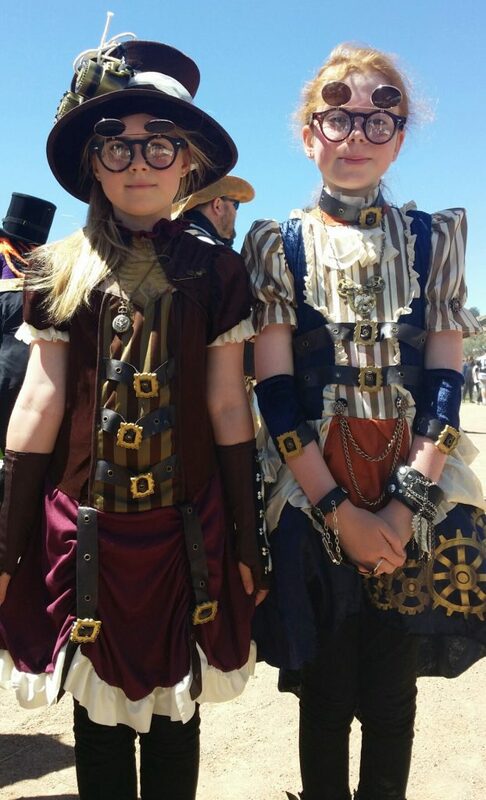 All ages look great in steampunk gear. 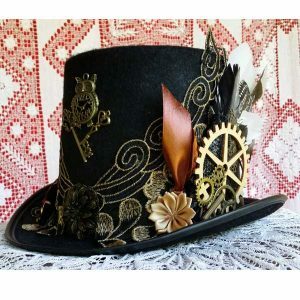 I love lots of things about steampunk: the wonderful design of clothes and artworks and the fantastical worlds of fiction, and also that steampunk can be enjoyed and worn by all ages. Familys can all get dressed up and go to conventions together. What a great hobby for the whole family. 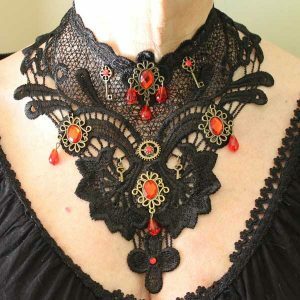 It’s also a look that encourages creativity, and that is always good, and fun. There are more things too, but I’ll talk about them in the next few posts. 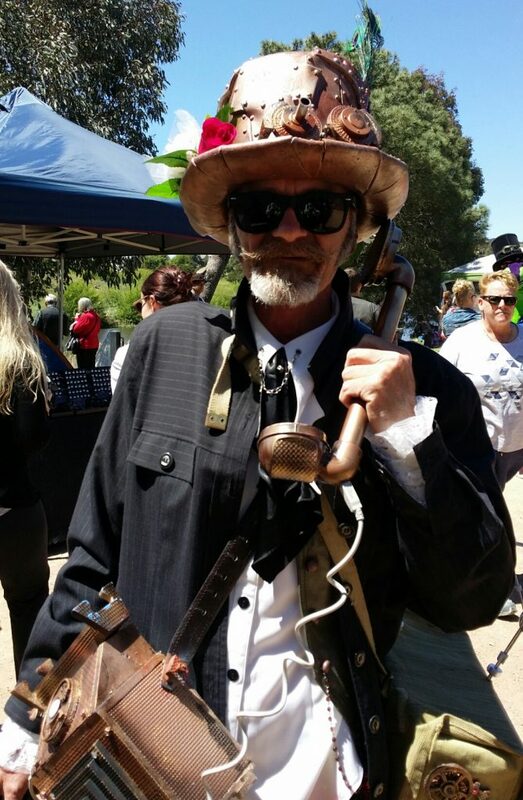 Here’s some shots of various ages at the Goulburn Steampunk Fair I went to on the 15th of October. A small fair, it still had a wealth of creativity from all ages. I’m sorry I didn’t get shots of the young boys who were there also dressed up. I guess they were always moving around – as boys do. Note the wonderful variety of looks, and the props, mostly made by the participants. I love the camera and the gun in the photo I’ve called Mums and Daughters. 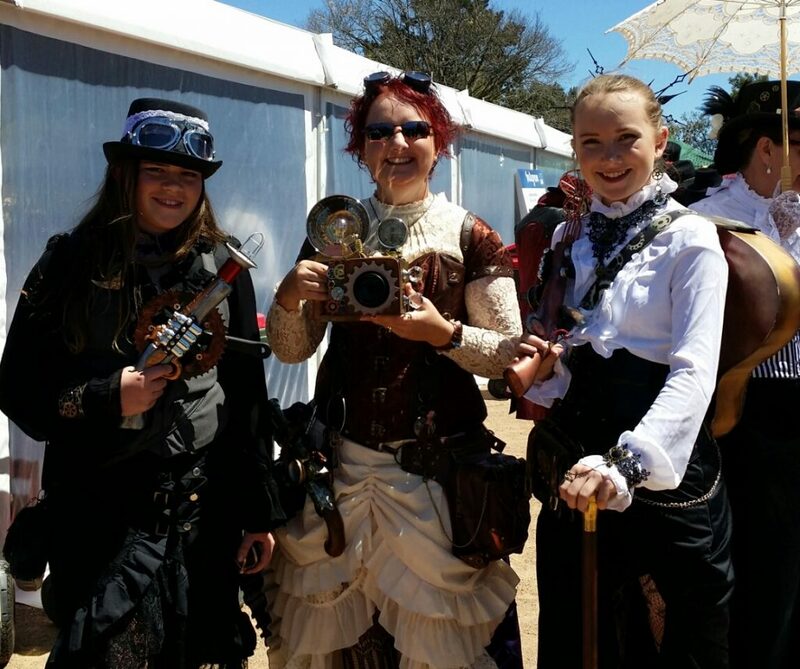 Those three were time travellers, and I’ll show you more of their props in a later post. The mobile phone was awesome too. 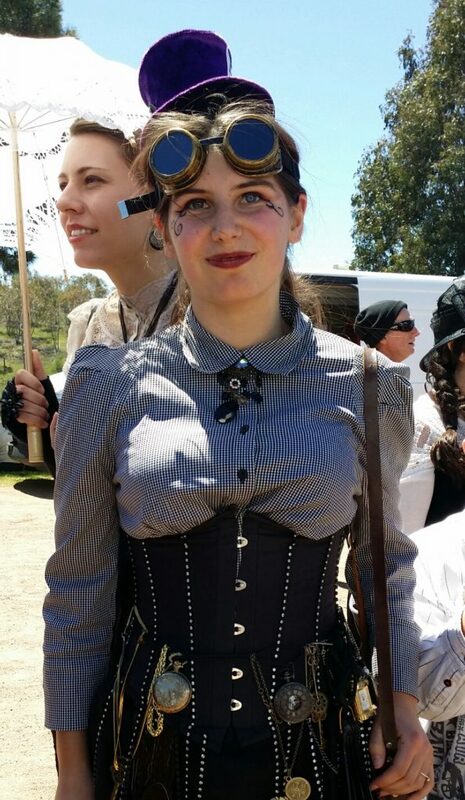 I love to hear your comments, so tell me what you love about Steampunk.